The G20 summit in Hangzhou on Sep. 4-5 will be remembered not only for world leaders’ speeches and meetings but also for a series of mishaps and odd episodes. 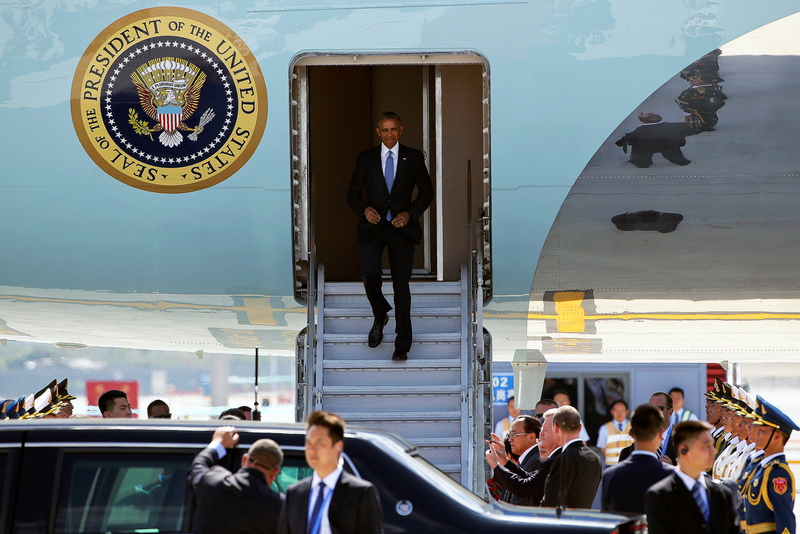 The main diplomatic scandal in Hangzhou took place before the U.S. president even set foot on Chinese soil: The organizers failed to provide a rolling staircase to the top door of the presidential aircraft, as envisaged by protocol, and Obama had to exit though a little-used back door. Furthermore, Chinese officials did not allow journalists from the presidential pool to approach Obama. “This is our country, this is our airport, okay? !” one of the organizers shouted at a White House press service staffer who had asked for an explanation. According to Kommersant’s correspondent Andrei Kolesnikov, a long-serving member of the presidential pool, Chinese drivers in Hangzhou really could pose additional problems. Many of them, not being local residents, had a less than excellent grasp of where to take their high-ranking passengers. Local taxi drivers are not the only ordeal that the Russian president had to endure in Hangzhou. Another mishap took place during his meeting with the new British prime minister, Theresa May. Having greeted members of their delegations, the two leaders approached their armchairs and Putin extended his hand to May for the protocol handshake – however the prime minister had already sat down. Putin had to ask her to stand up again. According to Kremlin press secretary Dmitry Peskov, there was no political undercurrent to the incident. “It wasn’t a setback: She (May) sat down and Putin offered her a handshake in front of the cameras, as it’s usually done,” said Peskov. German Chancellor Angela Merkel brightly started her bilateral meeting with Putin by greeting him: “Guten Morgen!” (“Good morning!”), although the local time was well past midnight. “I hope you still have strength left,” Putin replied sympathetically. “Good evening.” Merkel explained that it was still daytime in Europe and she was therefore full of energy. One person Putin had no misunderstandings with during their meeting was Chinese leader Xi Jinping. At the Eastern Economic Forum, which was held in Vladivostok right before the G20 summit in Hangzhou, Chinese investors told Putin that Russian ice-cream is very popular in China but it is very hard to get there, so ice-cream lovers have to travel to Russia especially. The Russian president responded enthusiastically and promised to bring ice-cream as a present to Chairman Xi. The Chinese leader did not have to wait long: Putin brought a whole box of ice-cream to Hangzhou and presented it to his Chinese counterpart at the start of their meeting. The Chinese leader was very pleased. “On every visit to Russia, I always ask for Russian ice-cream to be bought. We then eat it at home. Your cream is better, that’s why your ice-cream is so tasty,” the Chinese leader said, as quoted by the Rossiyskaya Gazeta newspaper.